Image from Theresa Nanigan’s ‘not sorry’. On Culture Night in Highlanes Gallery, artist, teacher and studio member Kieran Gallagher and his students will discuss their exhibited project. 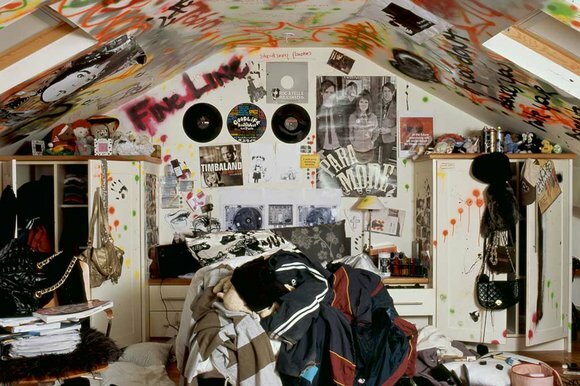 The work is based on Theresa Nanigian’s 2014 exhibition ‘not sorry‘, an intimate portrait of the Irish teenager and young adult. Kieran and the students from St Oliver Plunkett’s Community College, Drogheda will discuss their work and the impact gallery learning can have on students understanding of process and concept in art practice. THEN, Kieran will be rushing back to Dublin to take part in our open studio! Ormond member Helen Mac Mahon has work exhibited as part of ‘ILLUSION on Tour’, the Trinity College Science Gallery’s touring exhibition, at the Petrosains Discovery Centre in Kuala Lumpur. The show runs until December. ‘Petrosains, The Discovery Centre at Suria KLCC presents a new visiting exhibition – “Illusion”, an exhibition which offers an insight into the human mind through an exploration of the motivations and mechanisms of sensory deception. In simpler terms, “Illusion” will make you question what you see and will help you to investigate how perception underpins the way we see, feel, think and understand the world. “Illusion” was developed by Science Gallery at Trinity College, Dublin and offers a diverse range of artworks or exhibits that deal with different types of illusions, from Significant Birds by Nye Parry, Cubes by Jennifer Townley and The Hurwitz Singularity by Jonty Hurwitz. All exhibits will deceive the senses, showing that what we perceive is often radically different from the reality of what our eyes observe or our ears hear. 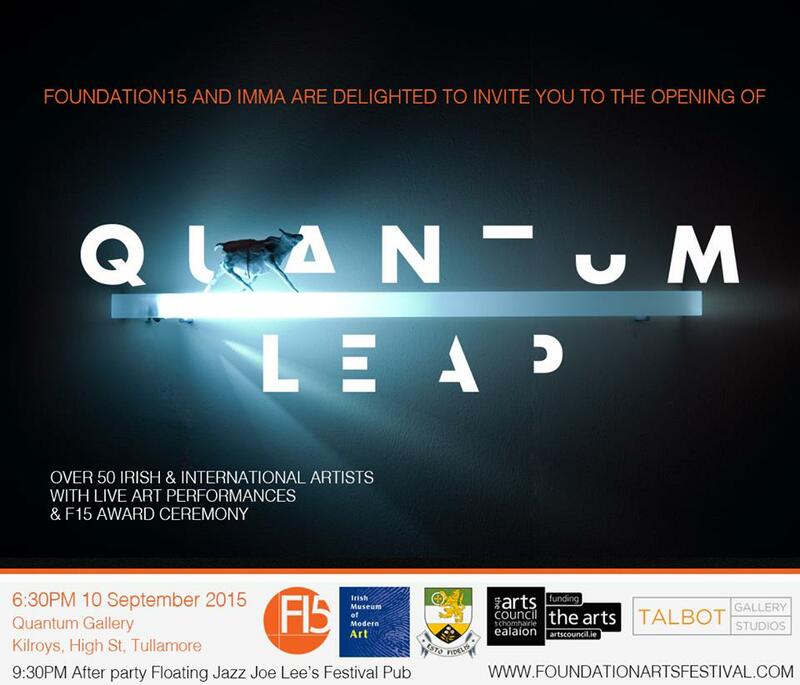 Studio members Steven Maybury and Helen Mac Mahon will be exhibiting work in Quantum Leap as part of the brilliant Foundation15 in Tullamore. The festival runs from the 10th -25th September with a jam packed programme of art, music and theatre and an educational programme that will run alongside it. 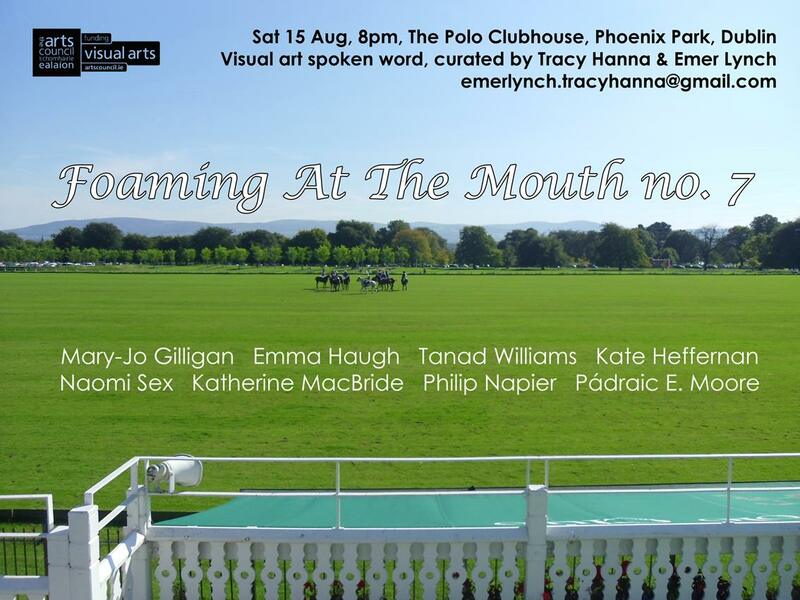 Visual art spoken word, curated by Tracy Hanna and Emer Lynch. This is the last event of the 2015 series! Doors open from 7pm so arrive early to grab a good seat, a drink from the bar, and some food (beef/ veggie burgers & salads available). 8pm start. The Polo Clubhouse is behind the zoo on Lord’s Walk, a 10-15 min walk from the main Parkgate St. entrance. There is no need to pre-book and admission is free. A project that Ormond artist Martina Galvin was involved in is to be featured on News2day.rte, at 4.25pm on the 9th March. 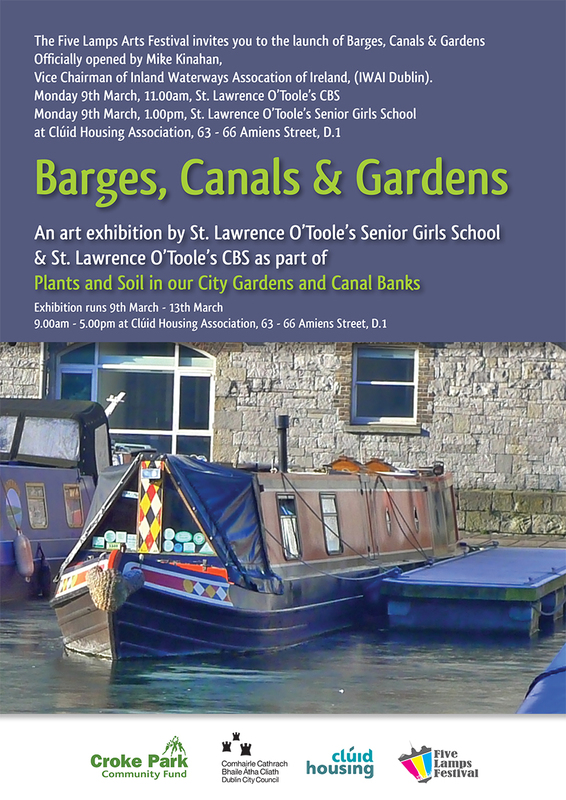 Martina worked with St Lawrence O’Toole’s CBS and St Lawrence O’Toole’s Senior Girls School on a series of barge sculptures. They will be exhibited as part of ‘Plants and Soil in our City Gardens and Canal Banks’ with the Five Lamps Arts Festival. The work will be on show from the 9th until the 13th of March. Rachel Marum – ‘Get In Lane’ at Catalyst Arts, Belfast. 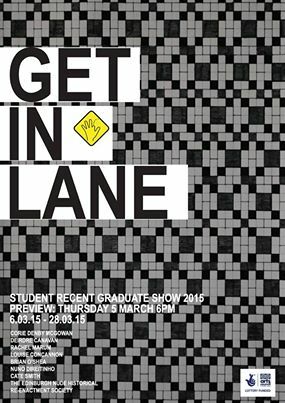 Studio member Rachel Marum is going to be exhibiting work as part of Catalyst Arts Recent Graduate Show 2015, ‘Get in Lane’! The show opens on Thursday the 5th of March and will run until the 28th. Should be well worth checking out if you happen to be in Belfast! Ormond member Helen Mac Mahon will have work in ‘ILLUSION’, the Science Gallery’s touring exhibition that opens in Discovery Place, Charlotte, Carolina tomorrow. ‘ILLUSION is a perception-shattering insight into the human mind, playfully combining the techniques used by magicians and explored by psychologists. ILLUSION shows that what we perceive is often radically different from the reality of what our eyes observe. Gaze into a mirror and morph into your inner animal at All the Universe is Full of the Lives of Perfect Creatures. Delicate Boundaries creates a space that allows the worlds inside our digital devices to move into the physical realm as bugs crawl off the screen and onto your body and Counter, using a trompe l’oeil effect, tries to convince us that a two dimensional object is actually three dimensions. More artworks and interactive demonstrations will offer further insight into the human mind through an exploration of the motivations and mechanisms of sensory deception’. 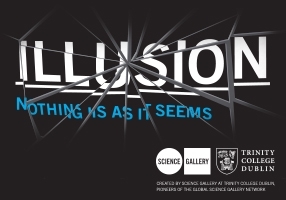 ILLUSION was curated by psychologist, author and magician Richard Wiseman; researched by deception artist Paul Gleeson, who is also the world’s youngest professional escapologist; and created by Science Gallery at Trinity College Dublin, pioneers of the Global Science Gallery Network. To celebrate 5 years successful running, Ormond Studios is excited to present two exhibitions featuring new and existing work from a selection of current artists and past members who have contributed to the space since its founding. 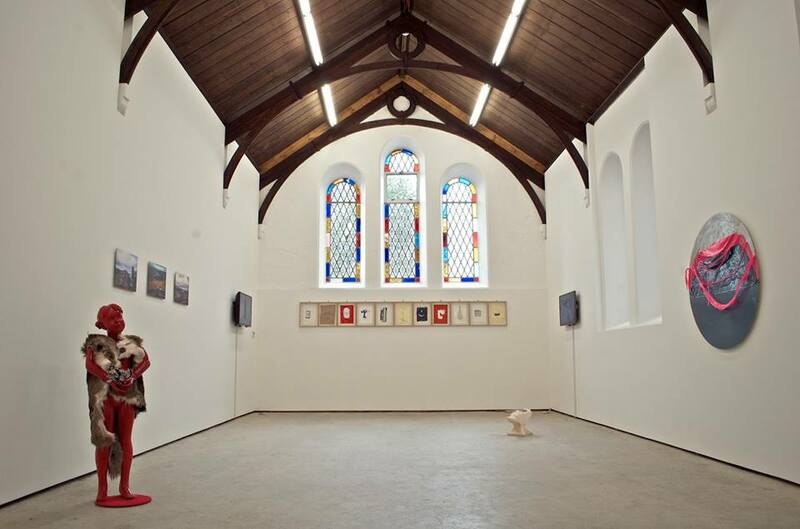 Ormond Studios was founded in 2009 by 11 recent graduates from IADT and NCAD as a non-hierarchal, self-organised art initiative for emerging artists. The ongoing aim of Ormond Studios is to provide a centrally situated, affordable and discursive workspace with facilities for emerging visual artists in Dublin that is collaboratively run and entirely artist-led. 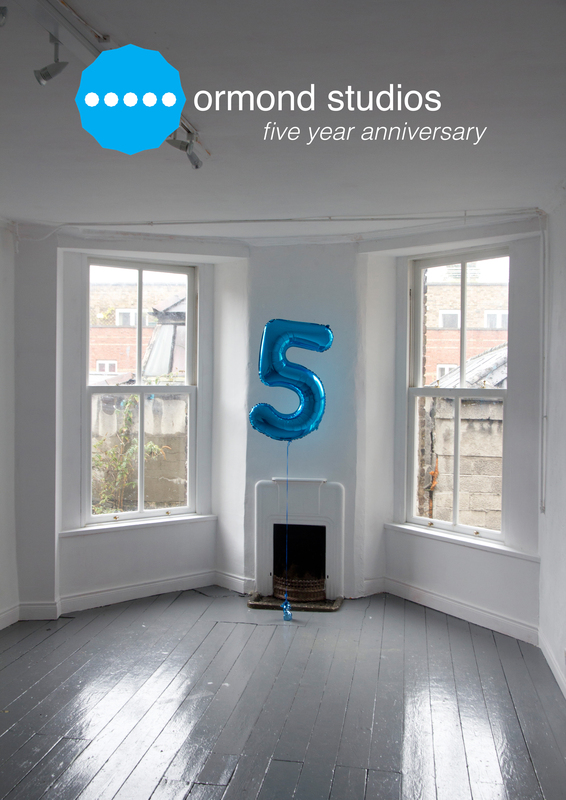 To mark half a decade functioning as a unique creative hub in Dublin City Centre, past and present members of Ormond Studios will come together to create two exciting exhibitions. These anniversary shows will highlight the diversity of creative talent that has fed and driven the space during its five year existence, and serve as a representation and reminder the varied practices the space has been home to in this time. Ormond continues to evolve and offer concrete supports for emerging practices including our annual Recent Graduate Award, a peer-supported residency and solo exhibition aimed toward graduates from all art institutions across the country, and our in-house Feedback sessions, offering members and other interested artists a platform for testing out new work and ideas. Ormond studios gratefuly acknowledges the support of Dublin City Arts Office with this event.